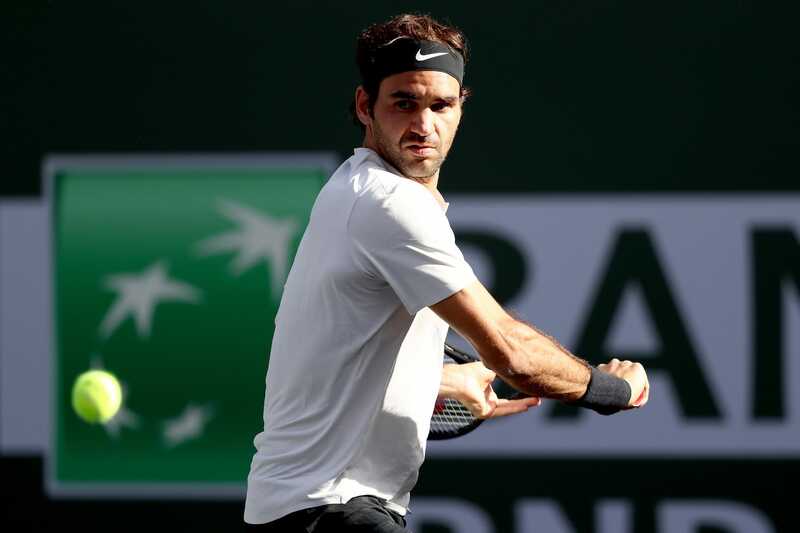 Getty ImagesRoger Federer is cruising through the Indian Wells Masters tournament. The actor Will Ferrell gate-crashed the Tennis Channel’s commentary booth during a match between Roger Federer and Jeremy Chardy at the Indian Wells Masters tennis tournament. Ferrell seemed to think whoever won the coin toss won the game, and he said he a “back tattoo” of Chardy. The actor Will Ferrell gate-crashed the Tennis Channel’s commentary booth during Roger Federer’s match with Jeremy Chardy at the Indian Wells Masters tennis tournament in California on Wednesday. Best known for his roles in “Anchorman,” “Old School,” and “Elf,” Ferrell provided a raucous analysis of the players’ entrances, the coin toss, and the fourth-round match itself. He then got confused by “the critical coin toss,” seeming to think whoever won the toss won the match. Federer went on to beat Chardy in straight sets: 7-5, 6-4. He’ll take on Chung Hyeon in the quarterfinal. Ferrell may say he’s Chardy’s biggest fan, but his actions say differently. Ferrell has been seen in the stands at several of Federer’s matches, and he even interviewed Federer as his “Anchorman” character, Ron Burgundy, at the Australian Open earlier this year.